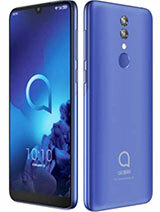 This phone is pretty good unless you get SMS messages. The customer service at Alcatel in Melbourne is an absolute joke. They admitted that the phone was defective when launched and that new software would fix the problem. 12 months warranty and guess what? Phone out of warranty. Still they said if I sent it to them they would fix the problem ... $45 + postage and return, about $9. So for $54 I could get them to fix my message sound, trouble if I bought a second one at the time for my wife so to get both the phones fixed, $108.00. Stick it Alcatel. Ive had this phone for over a year now and its been pretty good to me. Yes it deletes contacts all by itself.....isn't it clever. It freezes sometimes, the memory is to small and ive deleted everything i can off it and have no Mp3's or downloaded ring tones just pics and small videos and its full. 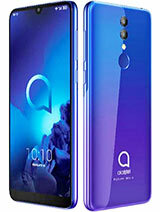 I think if it had 20meg then a song or two and some video longer then 30 seconds wouldve made this phone a lot better. Best thing of all it bounces!! 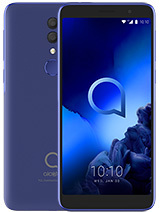 my brother has one Alcatel OT 756 here in portugal and the operator is TMN good thing about TMN is that they allways have the phones updated! So my brother's phone is working like a swiss watch! No problems with the contacts and sms rings! the only problem in that phone is that he doesn't accept sound with more than 30s even if they are smal like 100KB he doen't accept them! I am using an Motorola E1000 great phone when updated i recomend it for it's sound, 2 cameras, Stereo sound with two speakers and the video playback on that supreme LCD! the only problem on E1000 is the battery lenght, about 3 days, and 1 day and a half if you use it a lot for multimedia. Both phones are problematic it is true but with the right firmware updates they work like swiss watches lol! Keep it real people! I can not connect my ot 756 with my PC using Irda device gembird, help me how can I do this pls? 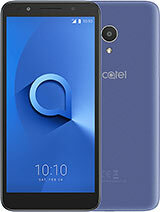 i fall in love with alcatel phone..i like its sound syle,n all its feature.n all i like abt this phone is d phonebook manager..where d caller picture@vid will display.but d most weakness of dis phone is its memory.jz 4 mb? ?..how many vid n mp3 can i save..n i suprise coz when i buy this phone,d battery life 2 9 hours..but when i used it..jz 1 day it can life wit usual using..;p..sad2..n its not compatible wit most java games n pc sofware..anyone know where i can get sotware 4 this phone pls email me...muahx!! When I purchased an OT 756 back in August 2004, I thought I would dispense with my old style paper phonebook I had to use with my Siemens S25. But I later found I had to keep it, because the Ot 756 keeps on deleting contacts on its own! Reading other posts I realized this problem is not unique to me. Furthermore, I need to save more than 600 contacts and lacking a reliable search function in the software is true back off. 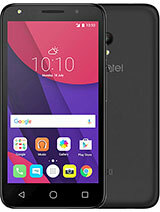 How to put the whole song in WAVE format in Alcatel 556? there is no f/w for old 756. f/w updated in new 756. better you get 757, its new f/w of 756. 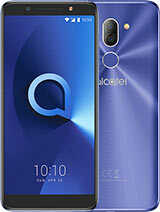 What is alcatel`s ot 756 menu 2 access password?? ?